Bozeman and surrounding area - local flooring expert in flooring design, sales, and installation for commercial, Hospitality, property management, and custom homes. The Carpet Mill Outlet is located 4 miles west of Bozeman on the road to 4 Corners. 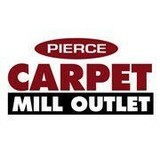 Pierce acquired it in 1996 and changed the name to Pierce Carpet Mill Outlet. This store serves as the counterpart to the Carpet Barn in Billings and the Pierce Carpet Mill Outlet in Butte selling discounted and promotional inventories in all flooring segments. A professional and friendly staff awaits you in all of these beautiful stores. Refuge offers sustainably produced and environmentally friendly products for the home. 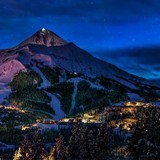 We at Rocky Mountain Rug Gallery are proud to have thousands of satisfied customers. With several thousand rugs, our inventory includes a wide variety of new and antique pieces in a large range of sizes. Our extensive inventory offers you the opportunity to make selections not only for smaller design projects, but also for your most lavish undertaking. After 5 generations in the business, we would be happy to consult with you about your needs. Bozeman Carpet Cleaners is proud to serve the Gallatin Valley with the best, most affordable, professional carpet cleaning service that will leave you 100% satisfied. Our staff is trained to get the absolute best job done, using the most advanced equipment to efficiently and effectively remove and deodorize and carpet, rug, and upholstery for any size home or commercial space. The Gallatin Valley's premier furniture and flooring retailer. 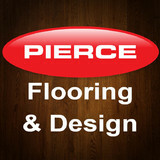 I am a professional flooring and design specialist at the Pierce Carpet Mill Outlet in Bozeman, MT. We offer not only carpet, but hardwood, vinyl, laminate, and all types of tile. Come in and see what we have to offer or visit our website at www.pierceoutlet.com You can also reach me at (406) 586-8234. For over 25 years the local team at Bozeman Flooring has provided exceptional sales, installation and repair for all types of floors. Choose a team that's environmentally-minded! We recycle all unused materials. Get the full picture before you make a decision! Call right now to receive a FREE flooring sales and installation estimate! If you need Carpet & Flooring services in the Livingston, Montana area, visit us at Livingston Flooring and Carpet Center. We have the expertise and reliable customer service you want. We now offer free in-home measurements and in-house rug binding! Christopher Tokash and his family have also been in the Carpet and Flooring business for over 30 years, and are ready and able to tackle your next project with knowledgeable staff and quality installers. David was a professional carpet installer (starting in 1978) long before going into the retail aspect of the business, so he has first hand knowledge of the complexities of an installation, which helps him advise customers as to what products will perform best for their application. He is also a born and raised ‘local boy’, so some of our customers have known him since he was a kid. The business has grown to encompass all aspects of the floor covering industry. David was also featured on the front page of the local newspaper receiving a ‘Goat-O-Gram’. Each year the senior class fundraisers for an all night senior party by delivering a baby farm animal from an anonymous source that requires the recipient to pay to have the animal removed. Carpet dealers in Bozeman, MT help homeowners choose the correct carpet covering for their floors, and also assist with carpet maintenance. This includes determining factors like material, carpet pile, durability, color and size, as well as helping with any custom carpet design. After completing the initial installation (which includes removal of the old flooring, if applicable, and surface prep), they may also handle follow-up maintenance requests such as carpet cleaning, carpet repair and carpet stretching. Find a carpet dealer on Houzz. Narrow your search in the Professionals section of the website to carpet dealers in Bozeman, MT, and read reviews and ratings for pros in your area.